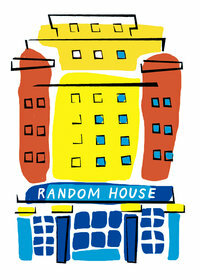 The Random House Group is one of the largest general book publishing companies in the UK. The Group is based in London and has subsidiary companies in Australia, New Zealand and India, with a joint venture in South Africa called Random House Struik. The Group comprises six publishing companies with over 40 diverse and highly respected imprints and brand-name publishers including BBC Books, Jonathan Cape, William Heinemann, Chatto & Windus, Vintage, Corgi, Doubleday, Bantam Press and Virgin Books. Novelists published by the Group include Dan Brown, Jilly Cooper, John Grisham, Robert Harris, Mark Haddon, Ian McEwan, Andy McNab, Chris Ryan, Terry Pratchett and Ruth Rendell. Random House’s non-fiction publishing consists of broad general non-fiction and specialist categories such as cookery, gardening, travel and business books. Notable authors of non-fiction include, Bill Bryson, Nigella Lawson and Delia Smith. The Group’s classic backlist of over 6000 titles includes the works of Graham Greene, Iris Murdoch and Virginia Woolf amongst others. Random House Children’s Books publishes many bestselling writers including Philip Pullman and Jacqueline Wilson, the former Children’s Laureate. The Random House Group distribution business services its own imprints as well as 60 other UK publishers.